That dusty book is still alive! There have to be dozens of large women ‘related’ (typically ‘only’) meetings out there. Thousands of women gathered for years in anticipation of the annual Women of Faith conference, one I attended often. You would sometimes see a few men in the crowd, not many, but they were there. I was always amazed to see so many people come together with one purpose- to hear about God, His Word, His Son the Holy Spirit and to be taught how wonderfully loved we were. It was also a reassuring way to connect with those penetrating stories of faith, stemming from real life- anxiety, depression, cancer, struggles with parenting, finances, drugs, etc etc etc.. Those weekends were uplifting and usually there was always one speaker that hit us in our gut. I was watching some intros into a new conference I became aware of this morning- aimed more for women I believe, and found myself encouraged. When we come together to share our struggles, authentically, God can use His word to penetrate our thickest walls, breaking down those barriers that seem to hold him out. Fear, doubt, hopelessness, anger, un-forgiveness to name a few, have ways of standing taller than our God in the midst of our battles. What I know is that life holds many conflicts against us all, men and women alike. And it is in those conflicts we are challenged and called to be prepared through God’s Word. He didn’t lay it out there for all of us to let sit stagnant on a shelf and collect dust. His Word is a life giving and sustaining addition to our active lives on this earth and is much more than just a bunch of pages held together by binding. We can attend a conference every month, but it will never compare to gaining the relationship God so desires for our lives today by connecting with Him! We can’t gain that relationship without his Holy Word, without constant dialogue with Him, without stopping everything to just listen. 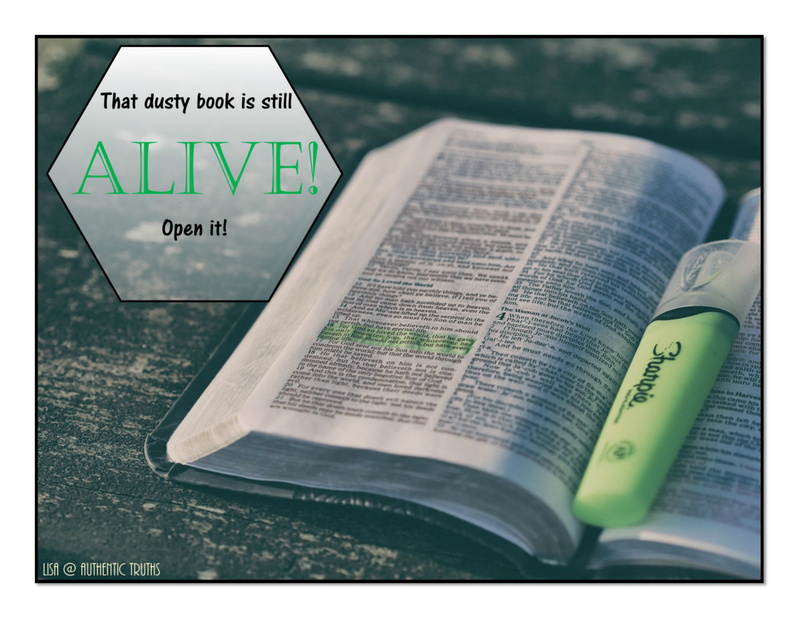 So dust off that Bible (or bring it up on your device, I’m still a 'hold it in my hand flip the pages kind of girl').. but get in the Word- pray in the Word, live out the Word in your life. Bring all of you to Him, as he has already given his ALL for you!